The Leelanau Club at Bahle Farms features spectacular views of Suttons Bay and Lake Michigan. While varied terrain with hills, woodlands, water, and strategically placed bunkers offer a memorable round of golf. 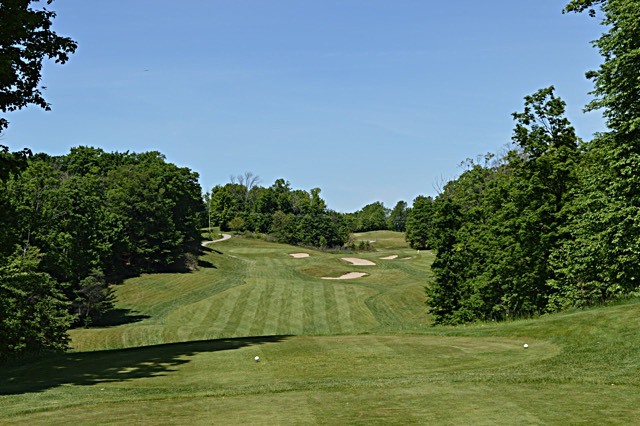 The entry way and two holes (#13 and #16) are situated among working cherry orchards, just ripe for the picking in July while golfers plan their strategy to the green. The design makes insightful use of the tremendous natural variety of the land. Players will negotiate a myriad of terrain types including ridges, ravines, gullies, orchards, and highland meadows.